Both the first and the last impression of a home is based on its curb appeal. When you’re trying to sell your home, landscaping takes a pivotal role in making your home feel inviting from the outside. The last place most people prepare when selling a home, however, is the landscape. 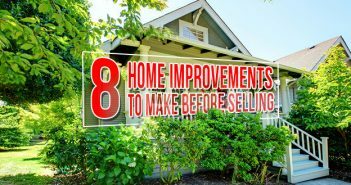 So we’re here to give you some easy and simple tips to help you fix up your curb appeal and help you sell your home. The lawn is the most imperative landscaping feature and one that should come first on your to-do list. If your lawn is brown and full of weeds, it may change a potential buyer’s opinion on the house. An unkempt lawn may lead them to conclude that the rest of the house is not maintained. So, to show off a luscious green lawn, be sure to keep a regular watering and cutting schedule. If your yard is beyond repair, consider hiring professional landscapers. Atlanta and Birmingham have superb landscapers. Adding container gardens can be a creative way to spruce up patios and doorways. Plus it will bring interest to the potential buyer. This is an easy way to demonstrate the endless possibilities of creating container gardens. A simple way to make your landscape clean and tidy is to add mulch. It can be applied quickly and easily if your landscape needs a quick fix up before a home showing. Instead of a new paint job for your home’s exterior, an easy fix is to power wash. With little effort, you can give your home a squeaky clean appearance. But don’t stop there! Walk around your house to clean your deck, driveway, sidewalk, fence and any other service that deserves to be clean! If you’re doing a complete landscaping make-over, remember to consider where you’re going to dispose of the dirt, leaves, grass and other debris. 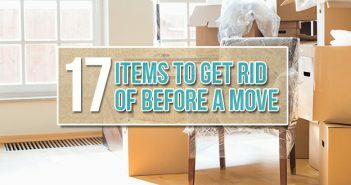 Renting a dumpster can be a quick way to remove the debris before a house showing. Having a roll off dumpster in your driveway can be an eye-sore, but it’s a great way to dispose of debris when you have a limited amount of time. Some potential buyers might drive past your home at night. So don’t forget to include lighting along the driveway and sidewalk to highlight your landscaping. When you add lighting to your deck or patio it can create a more inviting space. Another simple way to tidy up your lawn is to trim overgrown trees and shrubs near your home. Doing so will make your garden look nicer and also highlight the architecture of your home. 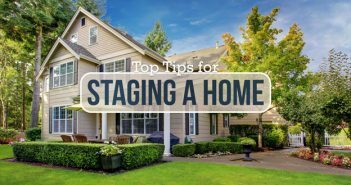 You must plan ahead if you want to sell your home. You can’t expect your landscaping to be ready if you want to sell your house next week. To be safe, plan at least two months before you put your house on the market to do landscaping. Of course, having spectacular curb appeal won’t guarantee that your home will sell. But it definitely goes a long way in creating a great first (and last) impression!